Successfully Added Belt Buckle Camera DVR - Unique Surveillance Tool to your Shopping Cart. Belt Buckle Camera DVR - Unique Surveillance Tool. 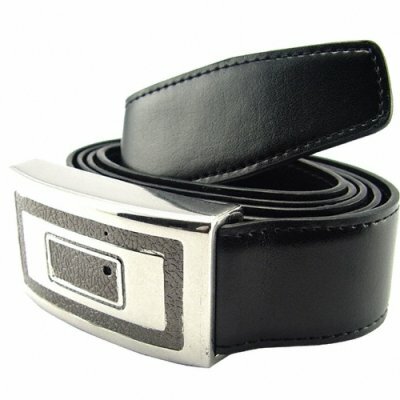 DVR camera built into a totally inconspicuous belt buckle for getting your game on without anyone ever being the wiser. Perfect for personal investigations, secret surveillance, and other covert activities, this is a camera that no one will ever expect and definitely not be on the lookout for. Featuring high quality AVI format recording, the ability to take up to 2GB TF (micro SD) cards for hours of recordings, easy one touch recording start and stop, a battery that lasts up to 3 hours for uninterrupted use, and even a smart and classy faux leather and metal design that will match almost any clothes you wear it with, this is a DVR straight from the pages of James Bond! Order yours directly from Chinavasion's secure checkout today, and don't forget that even better prices are available if you order in bulk for resale from your own online catalog.